Here is a great book that will tell you all the tricks of the trade. Although this looks like a picture book for young readers, it is actually a comprehensive introduction to haiku that poetry students of many ages can enjoy. Donegan, a poet who lives in Japan, begins by explaining basic concepts (what it means to "look though haiku eyes") before she goes on to describe the seven elements of traditional haiku. 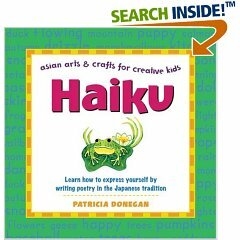 The remainder of the book offers haiku projects and exercises, accompanied by lengthy explanations, hints, and even word charts to help children create poems. The somewhat stilted color illustrations may put off older readers, and some exercises contain fill-in-the-blank sections, a format that's not ideal for library circulation. But Donegan presents a great deal of information clearly and with authority, and her enthusiasm for her subject is contagious, particularly when she describes what writing haiku encourages us to do: "see and appreciate the world around us more." A glossary and a haiku resource guide round out this excellent choice for children as well as teachers seeking fresh materials for poetry units. Very short: just three lines usually fewer than twenty syllables long. Descriptive: most haiku focus sharply on a detail of nature or everyday life. Personal: most haiku express a reaction to or reflection on what is described. Divided into two parts: as they read haiku aloud, students should find that each includes a turning point, often marked by a dash or colon, where the poet shifts from description to reflection, or shifts from close-up to a broader perspective. Teaching Haiku : Can You Haiku? better not attempt to make it 5-7-5 sylables, it dose not fit other languages than Japanese. THEORY : Why 5-7-5 ? or rather, why not ! Try to get out with a notebook and pencil in hand. Make notes about all the big and small things that come your way. Soon you will have a good colletion of " haiku seeds " ( haiku no tane ). Back home you can consult your saijiki to find an appropriate kigo to enhance the mood of what you were observing. Thus your kigo vocabulary will improve over time. This kind of "composing" haiku is called "combining of images" (toriawase). The combination of the two ideas must not be too close, but also not too far removed either to reverberate with each other. If you write haiku with no combined images (toriawase), but only one theme (idea) in three lines (ichibutsu jitate), you will have to focus your lense on the subject at hand very very VERY closely to find an image that is quite unique and that has not been expressed yet in haiku before. A long PDF file, takes time to load, but very instructive! 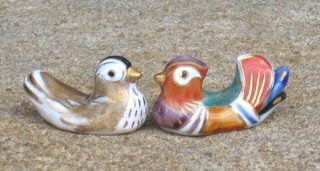 Teaching Haiku 05 : Can You Haiku? THEORY : Why 5-7-5 ? or rather, WHY NOT in English! 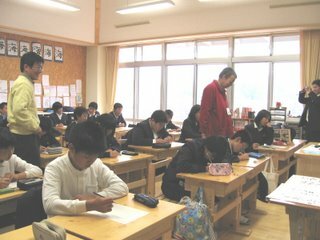 I attended a lesson of our local Misaki Grammar School, where a Japanese teacher was introducing the 18 kids how to make haiku for the first time. After explaining shortly about 5 7 5 which the kids knew from reading haiku, he gave some examples of kigo. Kireji were not introduced at this first lesson. After about 10 minutes, all had made their sentences within the boxes. Now the teacher gave them some examples to exchange the happy/sad lines for an appropriate kigo. Since we are now at the change of seasons, they could use either autumn or winter kigo. fallen leaves of the persimmon tree, winter rain and such. The kids got time again to erase the happy/sad lines and replace them with a kigo of their choice. The results of this lesson will be announced next week, when we have the official KUKAI, haiku meeting. lasted more than two hours and I was surprized at the eagerness of these little ones (about 11 and 12 years), hoping to get their haiku online next week. They studied the globe, finding Germany, America, India and Kenya! And wondered why it was time for spring kigo in Australia now. Introducing them to Worldwide Haiku will surely make a big difference in their small country lives. In the follow-up session, the Kukai, children were asked to comment on the anonymous haiku. They had to stand up and state their mind, quite a feast for any Japanses! I thought it was the best part of it, kind of social training. Since writing Haiku requires only a few words, every word is very important. The language used should be pure and simple, and it does not have to rhyme. This is a training exercise. It helps condition the muscles necessary for making haiku. Write down what month this is. Next to the month write another single word that names or indicates some feature of today (sun, rain, moon, clouds, wind, whatever). Now look out the window, or go outside. Without thinking too much (or at all, if you can manage) write a short description of any detail you see (any thing and/or any action). Look in another direction. Write a short description of any detail you see (thing and/or action). Turn your head and write down another detail. Do this at least 7 more times. When you have at least ten (TEN) little descriptive phrases, none of them longer than a single short sentence, please, go to a comfortable spot and choose one of your phrases and write part of it on the line immediately beneath the line you wrote when you first started. Write the rest of your chosen phrase on the line beneath that one. Write down the same month and the same detail of today you used on the first line. Write part of one of the remaining phrases on the next line. Write the rest of that phrase on the following line. Do this until you run out of phrases. This is only an exercise, not a test. Do not pass any judgements on yourself, on your performance, or on what you have written. Do the best you can. Put this sheet of paper with at least ten (TEN) little balls of words out of sight. You do not need to think about them at all for a while. Tomorrow, repeat this exercise. Completely. Don't think. The day after tomorrow, repeat this exercise. Don't think. On the fourth day, after you complete your exercise, take out the first sheet and read it several times (three or four is enough), and put it away. On the fifth day, read the second sheet. In one week, a single week, just seven days, you will have taught yourself more about haiku than it's possible for anyone else to teach you. ... experience in working with children on the rehabilitation their speech and dealing with their language difficulties through haiku. ...What is education? In a sense it is as serious an act for one human being to educate another as for one human being, say, to judge another. Both affect the other person fundamentally and almost forever. Nowadays, education means mainly the process of teaching at schools and through the university system. In olden times, education seems to have had two aspects in the original terminology. One was, according to its Latin meaning, to bring up, rear, foster or train (educare), like bringing up a child or training an apprentice, in other words a much broader sense. And the other was to lead out, or, as in a modern English word, educe, to bring out, elicit or evoke (educere), like "all things were educed from the ancient slime" (OED), namely to help people to realise themselves with their innate talents and qualities extracted. Both are derivatives from the Latin ducere, meaning to lead. These two aspects are very instructive when we think of the main theme of this year's World Haiku Festival: "Haiku and Education." ...I happen to believe that haiku, or something like a primordial sensibility for haiku, is actually in every one of us, regardless of race, culture, language or religion. Put another way, if we compare haiku to cooking, its ingredients are to be found in every one of us. We only have to cook it. And like food, every haiku tastes different, unless, that is, one gets it from McDonald's. haiku has played a useful role in education in various ways. The evidence is abundant. It ranges from school curricula that make the teaching of haiku to children compulsory to cases where haiku is used for an educational programme in prisons. Haiku in education has been one of the most important policy areas of the World Haiku Club since the club's inception in 1998. In the first World Haiku Festival back in 2000 in London and Oxford, a special seminar was organised that was exclusively devoted to this theme. Our members are disseminating haiku among children across the world through school systems or by holding workshops, ginko or kukai all the time. Children are natural haiku poets even before they know anything about it. There are many interesting things to discuss under the theme of "Haiku and Education." However, today I would like to try to examine with you what I believe to be one of the ultimate aims of education as applied to haiku. This particular aim of education is to provide each person with ways in which he or she can try to reach truths. Science provides ways in which to explore scientific truths through experiments. Philosophy provides philosophical truths through contemplation. Arts — artistic truths through pictorial or musical language. What, then, does haiku provide? I believe that haiku provides ways in which we can explore what I call poetic truths, or truths found and expressed in the haiku language. I am sure you will agree with me when I say that haiku opens up for us a very different way of looking at things around us. You probably can never forget the first time when a haiku poem hit you and suddenly you were experiencing something totally new and different. Perhaps you remember that particular haiku by heart. As you walked along the haiku path since then and were consciously or unconsciously acquiring a different outlook from your usual views, haiku must have changed you permanently even in the subtlest way. The world, it seems, would not be the same again. You would not see nazuna (a shepherd's purse) or a spider in the same way again. You would not feel the same again when you get wet with spring rain or hit by hail. You would not look up at the sky in the same way again, as you would become more conscious of the moon or the Milky Way all the time. You would not pass narcissi by without trying to find if they were bent by the first snow. Thus haiku can teach children or any other learners a totally new way of looking at the world around us. If they are deeply moved by what they see, it is likely that they have hit some haiku gold mine. And if they can put such poetic experience in a few right haiku words, then they will probably achieve fuga no makoto, or poetic truths. This guide for secondary school and college educators leads them through the history, forms, and beauty of Japanese poetry. Most of the work is on haiku, but there are also chapters on haibun, tanka, and haiga. Traditional and contemporary examples of all four forms appear throughout, along with ideas for classroom instruction and a wealth of print and web-based resources.